Industrial inline axial fans, vaneaxial and tubeaxial blowers, propeller ventilators, high pressure inline blowers, high temperature axial oven fans; and wall / roof exhaust ventilators.Sales agent for Buffalo Fan industrial blowers, commercial ventilator fans and OEM blowers; high temperature blowers and fans, high pressure blowers, OEM blower and fan wheels, roof and wall fan exhaust fans, heavy duty industrial process and O.E.M. blowers, custom built Buffalo - New York TCF fans, high volume ventilators, dust collection and combustion pressure blowers, high temperature oven circulation plug fans, as well as air ventilation systems, TCF ventilators, Industrial Gas Engineering Fans and Blowers. 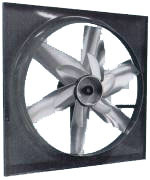 Supply of HVAC fans and blowers, large fan ventilators, commercial ventilators & fans, portable blowers fnas, electric blowers & fans, heavy duty blowers, cooling ventilators, direct drive blowers, ventilation fans, multistage blowers, high volume ventilator fans, rotary lobe pressure blowers, fan / blower packages. 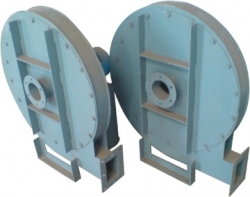 Airfoil centrifugal fan wheel in inline-flow configuration for high pressure systems and quiet operation. Non overloading horsepower characteristic and inherent fan stability when used in systems requiring varying air volumes. Steel axial wheels for low pressure ventilation and industrial process applications. Duct, Tubeaxial, and Vaneaxial Fans are available in 15 sizes with wheel designs selected to optimize performance across each line. 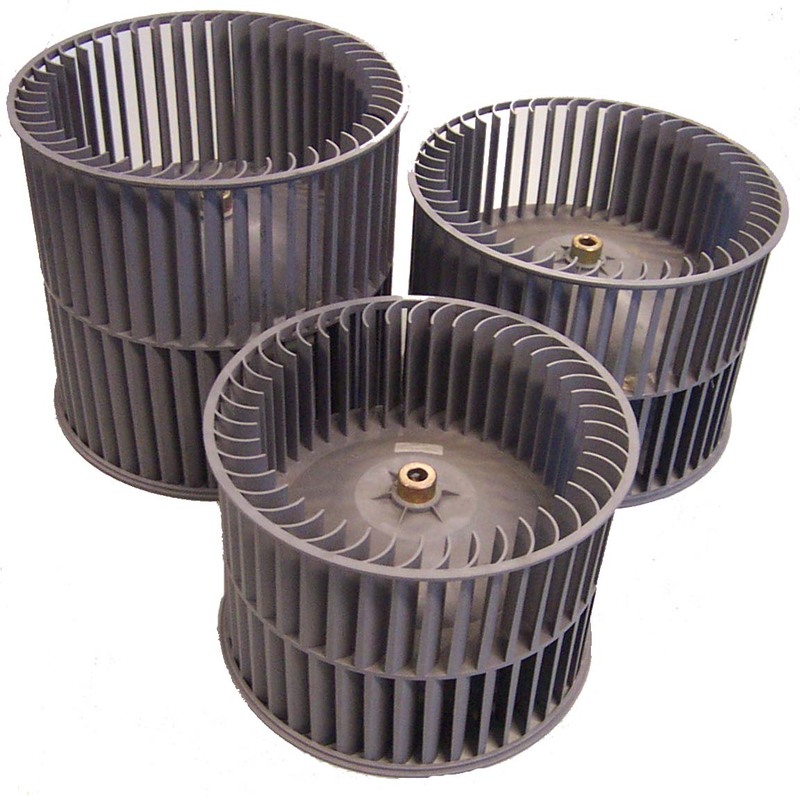 Cast aluminum airfoil fan wheels for moderate pressure ventilation and industrial process applications. Duct, Tubeaxial, and Vaneaxial Fans are available in five mounting arrangements to meet a wide range of installation requirements. Cast aluminum wheels with airfoil blades for high pressure ventilation and industrial-process applications. Direct-drive fans feature wheels available at specific blade angles to maximize performance. Available as exhaust or supply fans, explosion proof, with automatic or motorized shutters, guards, weather hoods and other ventilator accessories. 15 diferent fan sizes; available as exhaust or supply fans, spark-resistant, with automatic or motorized fan shutters, guards, weather hoods and other ventilator accessories. Complete AMCA Class I, II, II performance. Efficiencies beyond 85%, with direct or belt driven fan arrangements. Choice of Airfoil, Backward Inclined Flat-Blade or Backward Curved blades, in 18 sizes: 12" through 85" wheel diameters. Operating temperatures to 800 degrees F.
Double-Width Airfoil fans combine the efficiency of Buffalo Blower's airfoil wheels with construction features to suit industrial supply and exhaust systems as well as HVAC applications. A wide range of accessories is available to tailor the fans to each unique application. Complete AMCA Class I, II, II performance; with efficiencies beyond 85%. A heavier-duty extension of the Class I, II, III SISW Fan Line designs for higher pressure requirements. Choice of two wheels for best efficiency: airfoil for clean, dry airstreams or flat blade BI fan wheel for moderate amounts of dirt and moisture, temperatures to 800 degrees F.
Backwardly curved wheel design for high efficiency with non-overloading fan horsepower characteristic, featuring curves which cover a wide range of narrow-width performance at direct-drive motor speeds. Suitable to higher horsepowers required for high pressure blower performance. Furnished in direct-drive Arrangement 4 with wheel mounted on motor shaft for low-volume, high-pressure process requirements. Efficient aluminum impellers for highest efficiency and lowest noise level, steel wheels available for temperatures to 800 degree F and light dust conditions. Also available in Arrangements 1, 8, and Arrangement 9, 10 packaged designs. HPPB Pressure Blowers are designed for high pressure, industrial process applications. All applications can be handled in either induce-draft or force-draft blower configurations. Numerous modifications and accessories make the Type HPPB Pressure Blower suitable for a wide range of systems. Arrangement 10 packaged design reduces field labor and allows for test-running before shipment; choice of ventilator wheels for best efficiency: Airfoil fan wheel for clean, dry airstreams or flat-blade BI wheel for moderate amounts of dirt and moisture; with accessories and modifications include weather cover/belt guard, spark-resistant / explosion proof, and heat-fan construction for operation up to 650 degrees F.
Used for clean dry airstreams. Arrangement 4 direct drive and Arrangement 10 belt drive packaged fans with forward-curve wheels for quiet operation in general ventilation or simple process exhaust. ome belt-drive sizes available with heat-fan construction to 500 degrees F.
Available with paddle and radial-curved fan wheels, with emphasis on packaged designs to factory assembly / test run of fan, motor, drive - to reduces costly field labor and allows test-running prior to shipment. Temperatures to 1000 degrees F.
Available with varios versions of radial blower wheel, heavy industrial construction for long operating life in high-pressure and material-conveying blower systems. Available in both belt drive and direct drive fan arrangements. Operating temperatures to 1000 degrees F.
Available with paddle or radial curved blower wheel, which is particularly advantageous in high-pressure process systems to hold horsepower requirements to a minimum. 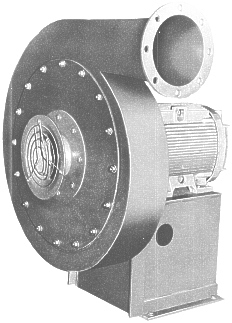 Naroow-width fan construction available for easy selection for direct-drive that is frequently desirable for higher horsepowers required at high pressures. Temperatures to 1000 degrees F.
Small radial blade blowers with radial backplated wheels for low-CFM material handling applications, in direct-drive and belt-drive arrangements. Airstream temperatures to 600 degrees F.
Radial tip wheel design for light-to-moderate loading of dust, dirt, powder or flakes, available wear plates for handling abrasive particulate. Belt-driven and direct-driven arrangements with evase for maximum efficiency. Operating temperatures to 800 degrees F.
Radial Tip impeller design for light dust and dirt loading in medium volume, high pressure blower applications. Available with outlet dampers, evases, inlet boxes, and silencers often required in high-pressure applications. Air-flow temperatures to 1000 degrees F.
Radial blade wheel design suited to chemical process and air pollution control systems when corrosion resistance and high static pressures are required. Direct-drive and belt-drive arrangements. Radial-blade wheel design for low air volumes in applications varying from laboratory fume hoods to highly corrosive chemical processes. Packaged Arrangements 4 and 10 for easy installation and maintenance. Backwardly inclined wheels for efficient air performance and non-overloading horsepower characteristic. Arrangements 9 and 10 fan / motor /drive packages reduces field assembly labor. Various accessories such as weather cover / belt guard, access door, drain, companion flanges, fan dampers are available. Backwardly inclined fan wheels for efficient air performance and non overloading horsepower characteristic. Available in low-pressure or high-pressure configuration, in Fan Arrangements 1, 8, 9, and 10, to match system requirements. Operating temperatures to 2,200 degress F.
Oven circulating or free-standing housed super high temperature fans an centrifugal or axial flow ventilator design. Water cooled shafts on direct-fan arrangements, as well as water cooled motors are available. High pressure blowers in series (both centrifugal and positive displacement / side channel) to generate extremely high pressure, including high temperature fan applications. Airfoil Plenum Fans are designed specifically for application in pressurized plenums found in industrial and commercial air handling units. Their un-housed, compact design combined with the airfoil wheel provides the utmost in efficient and dependable operation. Choice of forward curved, radial, airdoil or backwardly inclined fan wheel in plug pan configuration for industrial oven and dryer applications. Insulated fan panel protects bearing and motor. Available without insulation for low temperature cabinet ventilator units, for temperatures to 1,800 degrees F.
Forward curved blower wheels in one or two fan, housing, shaft, and bearing combinations, designed to suit a wide range of air performance, temperature, and fan dimensional requirements; greatl for use in ovens, dryers, air-handlers, and built-up plenum systems. Operating emperatures to 1000 degrees F.
Heat and Smoke Removal Canada Blower Power Roof Ventilators are especially designed, built and proven by independent test to meet the need of venting hot gases and smoke in the event of fire in commercial and industrial buildings, such as factories, warehouses, parking garages, shopping malls and department stores. Canada Blower Type HS PRVs reliably extract large volumes of hot gases and smoke regardless of building configuration, location and weather conditions. They withstand high temperatures for long periods of time. The concept of venting smoke and heat was first outlined by Industrial Risk Insurers (IRI). Use of powered ventilators could eliminate the problems experienced with gravity vents. Specially designed roof mounted exhaust fans would mechanically vent heat and smoke under emergency fire conditions. * The system can be effectively used in multi stories and below grade building areas. The unique Canada Blower Type HS power roof ventilators provide a solution for emergency heat and smoke venting that is dependable under the most extreme circumstances. All critical components of Canada Blolwer HS PTV that exposed to the airstream are ferrous construction to withstand high temperature conditions. These heavy gauge materials prevent warping of fan parts and malfunction at high temperatures. This also insures years of trouble-free service in normal daily operation of the PRV fan. Belt and bearings are protected from the air stream by enclosing them in a ventilated tube. 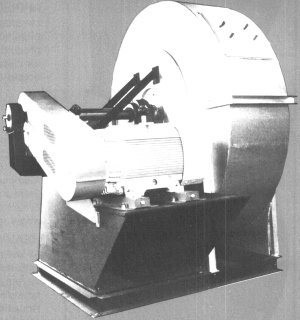 Design of HS fan incorporates a heat slinger / impeller. It isolates the fan bearings from damaging heat and draws cooler outside air through the motor compartment and over the belt and bearings. A spring loade, fusible link activated device automatically opens dampers when temperature at the fan reaches 165 F. This enables the fan to function as a gravity ventilator prior to powered operation. 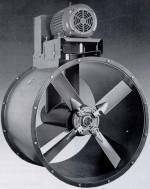 Engineering Sales of Buffalo Blower / New York blower and fans, American Coolair, ILG Chicago, Illinois Blower, Industrial Gas Engineering Industrial air products, fan and blower including high temperature &amp; high pressure blowers and fans, pressure blowers, heavy duty industrial process fans and blowers. Super high temperature fans, air tight and zero leakage blowers and centrifugal axial fans, explosion proof fans and ventilators.